If you haven’t heard about WordPress yet and especially WordPress.org, then the following WordPress CMS Courses will share with you the secret behind CCNA HUB success. WordPress.org CMS Platform is free Open Source software to build Professional, Scalable, and Powerful Websites such Blogging or Membership websites, and upto e-Commerce Online Stores. If you are a CCNA student, gaining WordPress.org CMS Platform and Hosting Services knowledge beside the Network knowledge will give you the opportunity to experience Web Servers and its Applications. Besides, you will learn crucial skills and knowledge in case you decide to build your own Pro website one day using WordPress.org CMS Platform. At first, when I thought to run my own professional website using WordPress.org CMS Platform, it looked impossible to me since I know nothing about websites, but I have good knowledge about the building blocks that run the WordPress.org CMS Platform. One of these Building Blocks is LAMP Server Engine – (Linux, Apache, MYSQL, and PHP). So, I start to dig in and read articles about how to run a Professional, Scalable, and Secure website using WordPress.org CMS Platform on top of my favorite LAMP Engine. After weeks of digging plus testing using my laptop virtual environment, I can say with confidence that starting a project to run Professional, Scalable, and Secure Website using WordPress.org CMS Platform is not an EASY task, however, it can be very Simple and Amazing task if you are prepared with enough knowledge about how the Building Blocks that hold and run WordPress.org CMS Platform are put together, hence, I built Linux Courses. Before I start going deep into the subject, there are 2 types of WordPress CMS Platforms that are available online. 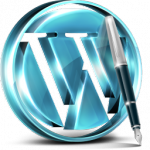 When I start reading about wordpress, I noticed 2 types of WordPress CMS Platforms (WordPress.com Network Site and WordPress.org CMS Website). In the beginning, I got confused like most of the new users, but through time I nailed down the difference. So, clarifying the difference between the 2 types will help you understand what I am going to discuss in here, especially that I am going to focus on how to install, manage, and maintain WordPress.org CMS Platform software. However, let’s start by discussing the WordPress.com Network Platform first, and will continue with on WordPress.org CMS Platform discussion. WordPress.com Network or Multisite Platform is simply an installed type of WordPress.org CMS Software that has been setup specifically as Multisite Platform by WordPress to provide the public users with Free and Commercial Websites packages. Important to remember, that even if you pay for WordPress.com Hosting Service, you won’t have full control over your Website, which will limit the users to use most required features of WordPress.org platform such plugins. Such restriction, made the people who want Control and Freedom to leave WordPress.com Hosting Service and go with their own WordPress.org CMS Platform instead. Meaning, with all WordPress.com commercial Hosting Service features, it will never ever beat your own WordPress.org CMS Platform which you own 100% and have total Control and Freedom over it. 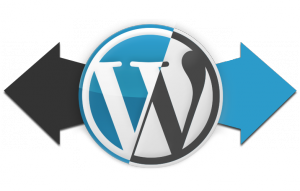 However, if you are looking for a simple limited feature blog and you don’t want to deal with maintaining WordPress.org CMS backend such upgrades, plugins, security, backups, and much more… then WordPress.com Network Platform can be efficient solution for your requirements. But, if you are here to run your own Professional, Scalable, and Powerful Website that you totally own and will have 100% control over it using WordPress.org CMS Platform, then you are in the right spot! At first, it was not easy to prepare for WordPress.org Website, then I’ve built a Check List and cancelled the stuff that I don’t need. Before I go through the list, I would like to share with you something important. I found out that some HowTo articles Online took things very lightly when they talk about WordPress.org CMS Platform and its plugins. Which made me believe that I am dealing with very simple platform, but sooner I have discovered how important to be ready with enough knowledge before running a scalable, secure, professional, and successful Website. The hard work will pay off though when you see your website is trusted by all public users which willing to come back and willing to share your website among their friends and families. That was a big deal for me! Running and maintaining a WordPress.org CMS Platform is NOT an Easy Journey at first. You need to commit few hours every weekend, specially if you are expecting thousands of users to visit your website every month! Such large Website requires good background with OS Systems, Network, Security, and Linux Backend Building Blocks Experience in order to build a scalable website using WordPress.org CMS Platform. But as starter with baby steps, I assure you that it can be very easy as new user to build, run, and maintain such website, if you have a enough proper guidance with good plan to implement the working pieces or Building Blocks in logical order. Patience and proper guidance are the key. Besides, this baby can be a money machine! Let’s say you have good ideas to write about such your career or your hobby, now imagine how many people around the world would love to read about your knowledge that can be very rewarding in the future. Through the time you can sell ebooks, services, put google Ads through your website, and much more…Taking good care of your website can be very rewarding, but it takes some time to be known by people and search engines. Your website can be your best friend! Besides, check the following links by WP Beginner. With this in mind, I want to write down all the experience I gained so far using WordPress; hopping to help someone one day to build scalable, secure, and professional website. To start some where, I had to divide my WordPress knowledge to Courses and Section. Please note that my knowledge in WordPress mostly focused on the Backend as Administrator and not as Frontend Designer or WordPress Developer. I come from Systems and Network background, but with some time every weekend, I was able to build and gain good WordPress knowledge at certain areas. Especially at the Backend management and the Building Blocks that runs WordPress.org CMS platform. I believe, everyone who is serious about taking their website to the next level, should put some time to gain that knowledge. Forgive me if some Courses are not done yet, with full time job, I am trying my best to finish each course in timely fashion with good quality ASAP. Besides, you don’t need to know any coding skills or programming. I personally know nothing about HTML, CSS, PHP Language, or even Designing. Note: To manage all the accounts that are associated with my website, I have put all of them inside an Excel Sheet. Following Henry Ford’s recommendation, I had to break down the project to Parts then an Article for each topic. The following was my list to run my CCNA HUB Website using WordPress.org CMS platform. Please note that the following list will be updated with more Topics every while. Good Luck! Part I: WordPress.org CMS Platform Building Blocks…Coming Soon! Part II: Backend Management and Maintenance…Coming Soon! Part III: Frontend Management and Design…Coming Soon!